Our water damage Miami pros have over 35 years of experience performing structural and plumbing repairs while initiating water damage restoration and water cleanup jobs at the hands of our dedicated water damage Homestead crew. Our 911 Restoration Miami crew members tackle water damage with the latest drying technology and can restore any structure no matter how severe the damage is in Homestead. Our water damage Homestead techs also warn that when water pools on roofs it can run down the side of the home and into your foundation. In addition low-lying areas are especially susceptible to flash flooding and channel water into your crawl space. In order to prevent water damage from weather related incidents you would be wise to keep your gutters cleaned out and ensure your downspouts are turned away from the home. Don’t let your home or office suffer from the effects of a flooding scenario without getting help from our teams of professionals first and foremost. 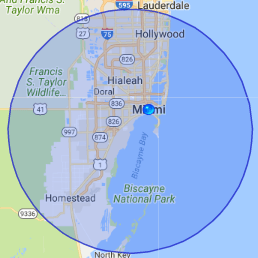 Contact our water damage Homestead team with 911 Restoration Miami and let our experts take all of your projects on today! Water damage in Homestead accounts for roughly 70 percent of insurance claims—a naked truth that few homeowners are cognizant of. 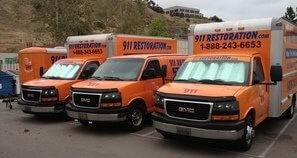 Water damage catastrophes can quickly usher massive costs from only a few inches of water. The primary cause of residential water loss is a rupturing plumbing supply line. The second main cause of residential water loss results from toilet malfunctions. When deductibles are met plumbing supply malfunctions cost an average of $5,092. Structures older than 30 years are three times more vulnerable to water damage. Toilets orchestrate average water damage costs from $2000 to $10,000 per accident and 78% of these accidents derive from sewage backup, flanges, damaged supply lines, and fill valve assemblies. One of the top 10 causes for residential water loss comes from appliance malfunctions. Sewage backup spills in finished basements see claims that are 23 percent more expensive than unfinished basements. Homes aged more than 20 years are 37 percent more susceptible to water damage problems originating from showers and more than half of these disasters include a faulty shower pan. Our water damage Homestead pros strive to make sure that local property owners are enlightened when it comes to the risks and causes surrounding water damage in Homestead, so give us a call today! Our water damage Homestead experts warn that water damage can happen as a result of bad weather. Heavy rain from storms can overwhelm your home’s downspouts and gutters, accelerating the pooling of water on your roof. When this happens, water can have an easier time finding vulnerabilities in your roof and seep in and saturate the padding before dripping down into your home. Installing sump pumps in your crawl space will also help reduce the amount of water damage sustained from floods, as they work wonders at pumping water away from the area. When you learn about 911 Restoration Miami you will discover that our water extractions team also helps remediate and restore homes that suffered from water damage due to plumbing malfunctions. Our water damage Homestead team does it all, so whether you have ruptured hoses or plumbing problems, call our water damage Homestead team with 911 Restoration Miami for a free inspection today!